There was snow this week and the lawn is still covered although it has melted somewhat around the borders. Today was sunny and as there was very little wind did not feel cold at all. Next week a mini heatwave is forecast of up to 11C. 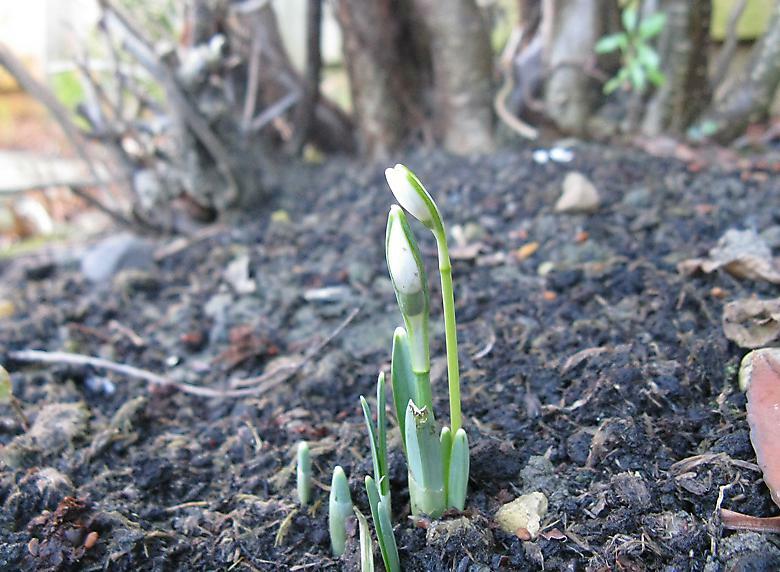 The most exciting thing for me is to see the shoots returning of things that I planted last year; currently I have the first Tulips, lots of crocuses and plenty of snowdrops. That may not be so interesting to anyone else reading this, so I have mostly avoided new shoots in this weeks Six On Saturday as hosted by The propagator blog. 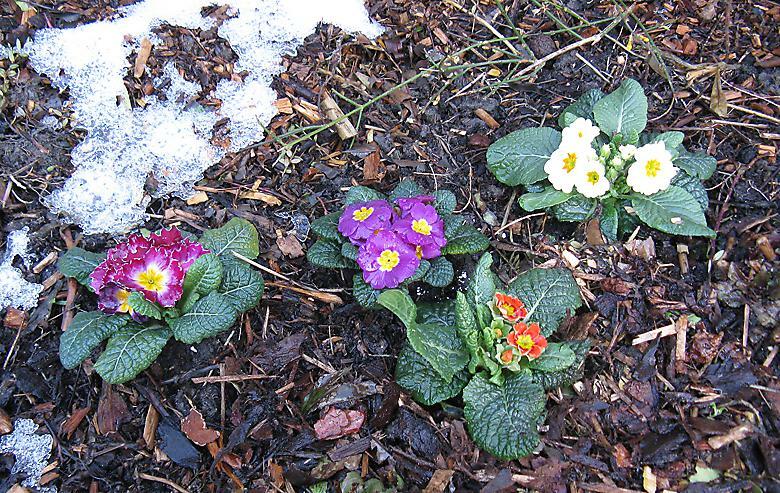 I accidentally planted three primroses in a straight line instead of the triangular clump I was aiming for, so I had to get an orange one to make the group a bit more interesting and it was planted today. 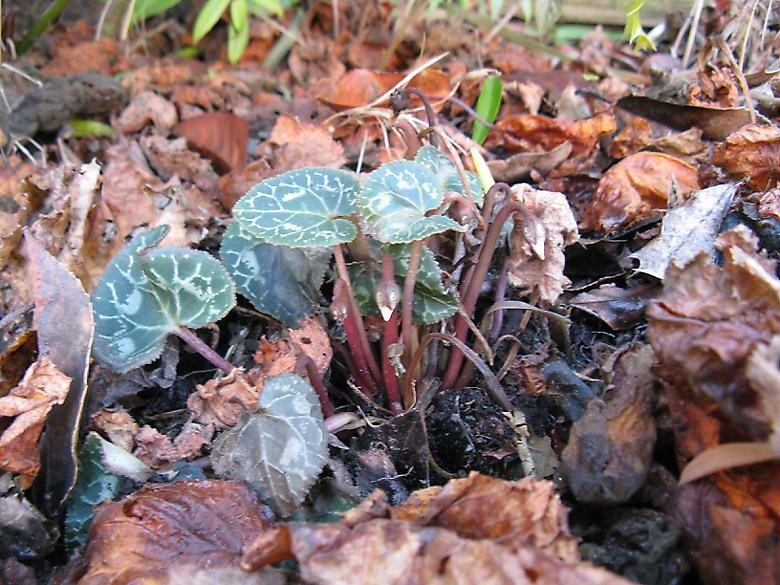 I wanted to get some proper hardy Cyclamen, so starting with this Cyclamen Coum which I planted today. Flower is a lovely colour, not quite as wonderful as the autumn flowering "magic flame" ones I had, but almost so. 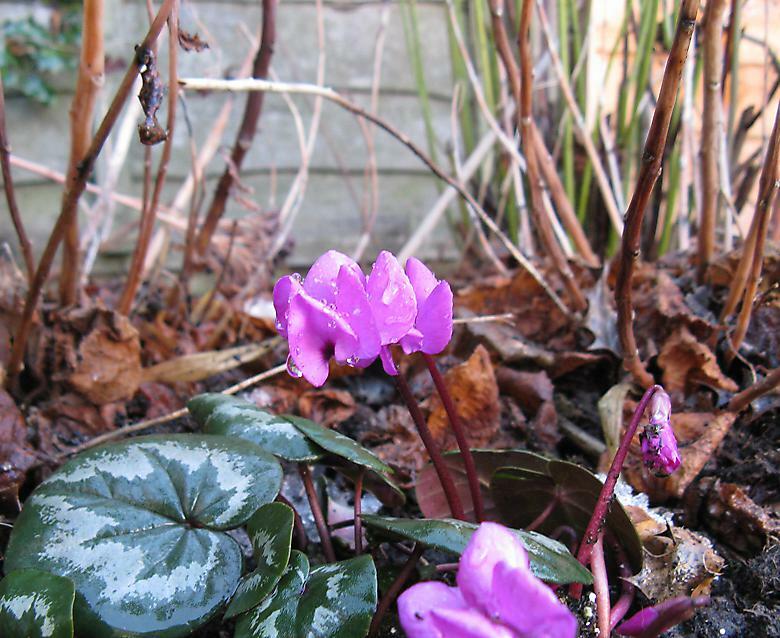 One of those magic flame varieties (which I believe are Cyclamen Persicum) is still looking healthy with some buds, so I have not given up on it altogether. The first one has vanished completely above ground. 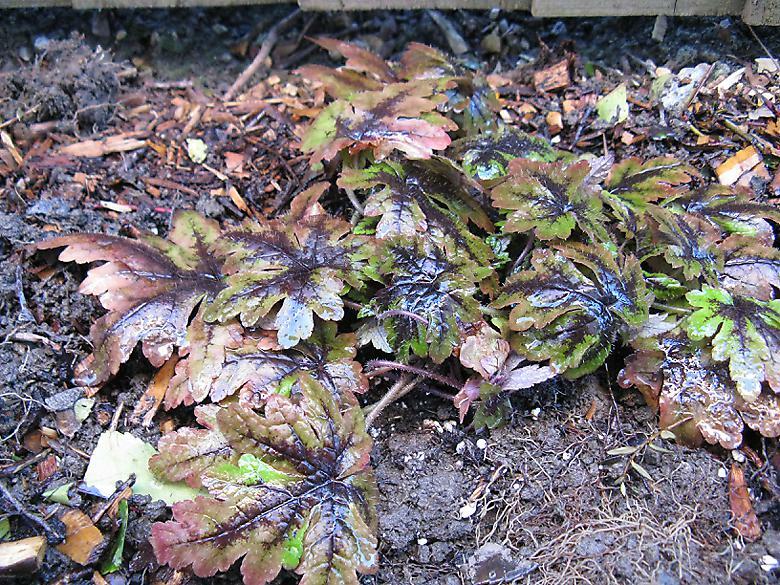 3 Tiarella "Sugar and Spice"
Planted this Tiarella today - only one more to go. I like the leaf pattern on this one a lot. 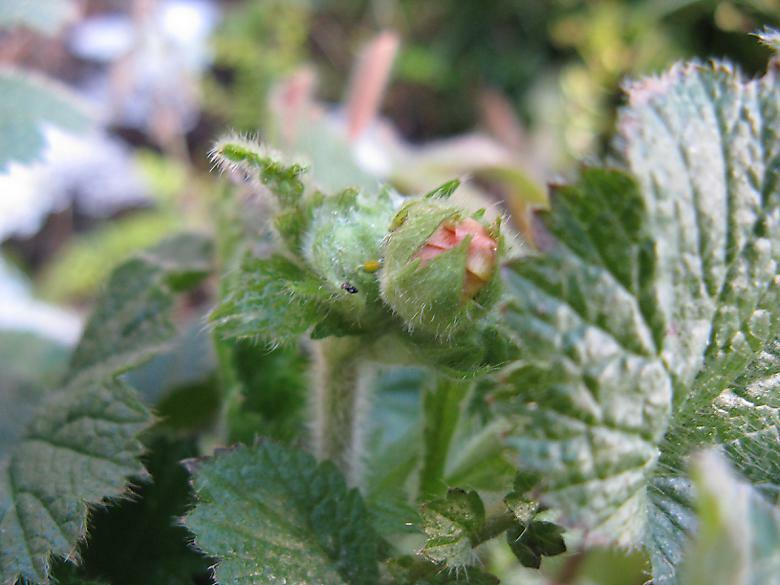 4 Geum with flower bud! My Geum "Totally tangerine" has already proved itself with a very long flowering period. But now its ready to start again in January! This is not the only flower stem, I first noticed another, and then when I was about to take a picture noticed this one where there are two buds and one is showing the orange colour. I was given a whole bunch of snowdrop bulbs - I had kind of forgotten just how many there were. Some of them are just starting to flower now. 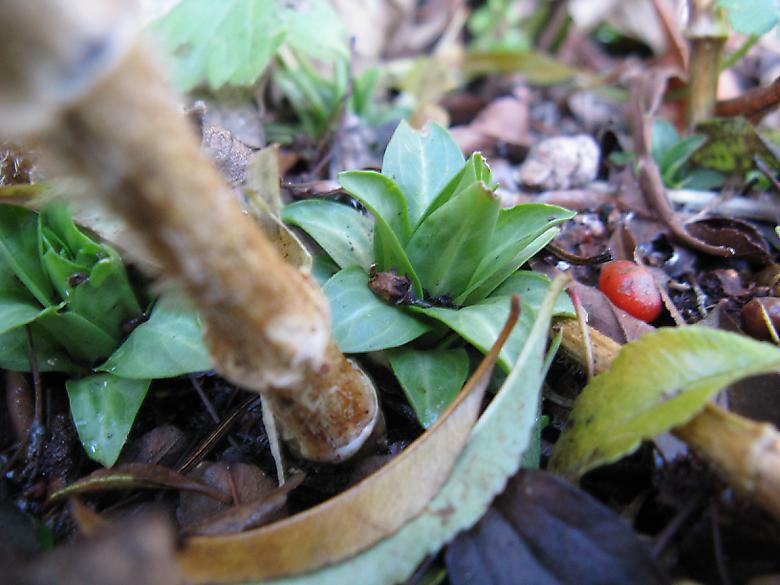 I spent much time last year trying to guess what was growing from any remains from the previous year and the new shoots. As a result I am quite interested in recognising things from their early new shoots. This is one that I didn't get until it finally flowered. Last year the first record I had of it growing was mid February, but it may well have been growing earlier. It's certainly making an early start. It is a little sheltered beneath the Pyracantha/Cotoneaster complex.